Edward Andrews Homes welcomes you to a park called home at Haddonfield, a community with beautiful new homes and access to great schools in Gwinnett County. Located in the sought-after Brookwood High School, Haddonfield is just five minutes away from great shopping, dining and entertainment at the Shoppes at Webb Gin. I-75, I-85 and Ronald Reagan Parkway are all easily accessible, making it easy to get downtown or anywhere in the metro Atlanta area. But when you live at Haddonfield, you never have to go far from home for fun! In fact, just steps away from the front door are great amenities including a junior Olympic sized swimming pool, two lighted tennis courts, an open air pavilion that’s perfect for community gatherings and a 30-acre park complete with walking trails, wooded areas and open green spaces. 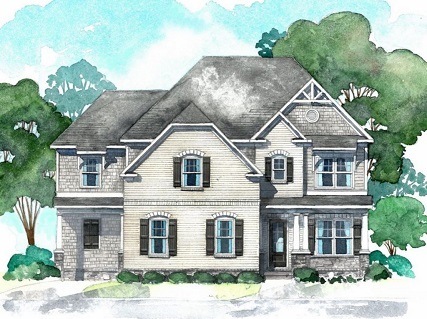 At Haddonfield, homes offer comfortable luxury with 2,900 to more than 3,800 square feet of living space and up to five bedrooms, all priced from the high $300,000s. Homes are located on beautiful home sites, many with private wooded backyards. Exteriors feature HardiPlank® with stone or brick accents and carriage-style garage doors. All homes include hardwoods on the main level, crown molding in all rooms, and many other beautiful fixtures and finishes. The kitchens include granite countertops, stainless steel appliances, tile backsplashes, and 42-inch wood cabinets, while the owner’s suites have huge walk-in closets, double vanities and separate showers. But the luxury features don’t stop there! Even more personalization options are available, including outdoor living spaces with fireplaces, sunrooms and finishes basements. For more information on EA Homes’ Haddonfield community, visit the model home, open daily, call 404-202-3359 or visit www.EAHomes.com.